Make delicious and authentic 'Tom Kha' spicy coconut chicken soup with this high quality product. Lobo is well-known in Thailand, a trusted manufacturer of a wide range of ready-made cooking sauces (see below). 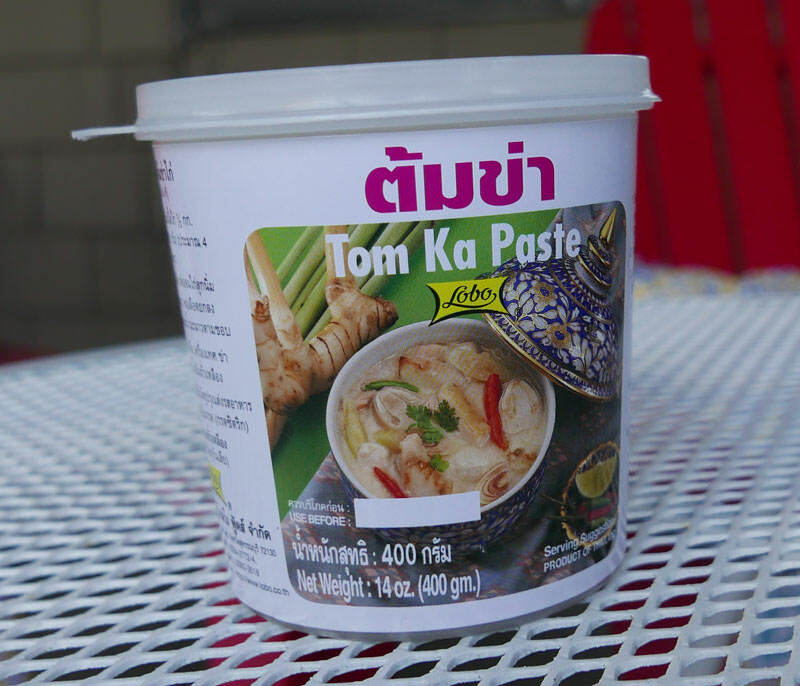 This is their original Tom Ka paste in a new large tub offered at a great price. Simply mix with water, coconut milk, fish sauce and lime juice. We also offer Lobo Tom Kha in the original 1.7 oz packet. Ingredients: salt, spices, galangal, lemongrass, sugar, soybean oil, msg, shallot, citric acid. No coloring or preservatives added. Product of Thailand. 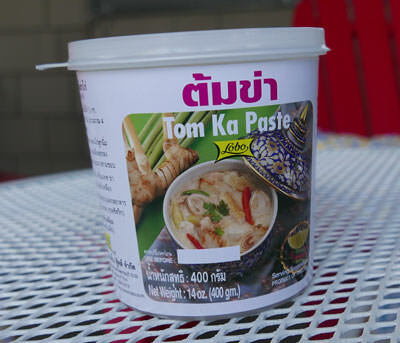 Our customer Phyllis in Nipomo CA sent us this message about Lobo Tom Kha Paste: "After falling in love with Tom Ka soup at a local Thai restaurant, I found this site and ordered the Tom Kha paste - I've read a number of recipes for the soup, so have developed my version using the Tom Ka paste that is absolutely the best soup I have ever tasted - and I make it over and over. So thank you for this wonderful product, and for making me a true Thai food devotee."